3.19.2011 – Thank you to University of South Carolina for hosting a speaking event about turning passion into action! 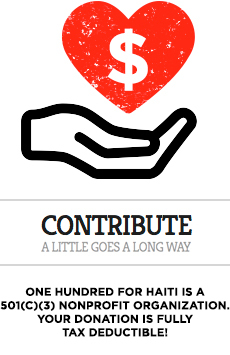 Thanks for all the interest in One Hundred For Haiti and for starting your own groups on campus! 3.7.2011 – Thank you to Utah Valley University for hosting a speaking event that looked at how social media has impacted the One Hundred For Haiti fundraising efforts and the One Hundred Shows For Haiti campaign. Schools and students: get involved by bringing these ideas and the action they generate to your campus. Get in touch with us anytime to find out how! Seattle photographer / artist / robot-fan Carrie Whitney has created the “Art For Good” campaign: a series of robot-inspired canvas photo prints benefitting the Juvenile Diabetes Research Foundation, One Hundred For Haiti and the Keep A Breast Foundation. Fun art supporting good causes! Currently happening around the world: ONE HUNDRED SHOWS FOR HAITI.Get involved by doing an event in your city. Over 90 events confirmed so far worldwide! One Hundred For Haiti is helping the campaign and co-coordinating events. 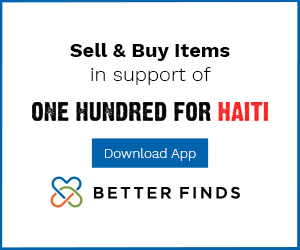 We are focusing our fundraising to help Dr. Jacques Denis, our personal friend in Port au Prince Haiti who has been giving away medicine and medical care to people in need for free since the quake. The circle of support has grown rapidly and YOU are next in that ever widening circle! Write and tell us what you can do to help the campaign. LEARN MORE ABOUT US. We are in the midst of expanding past the ideas in the video below: we will be coordinating events themed to “One Hundred _____ For Haiti” around the world every month for the next few months, and you can get involved. For now, watch the video below…and know that donations AT ALL LEVELS, both in terms of money and resources and creativity, are accepted and appreciated. Get in touch if you have questions anytime. AVAILABLE NOW: One Hundred For Haiti shirts and stickers. $20 for shirts, and $5 for a sticker pack of five of each design. All proceeds help us continue with this work. We raise overhead costs through shirt and sticker sales so that all donation money can be used for direct action. Stickers come free with all shirt orders. 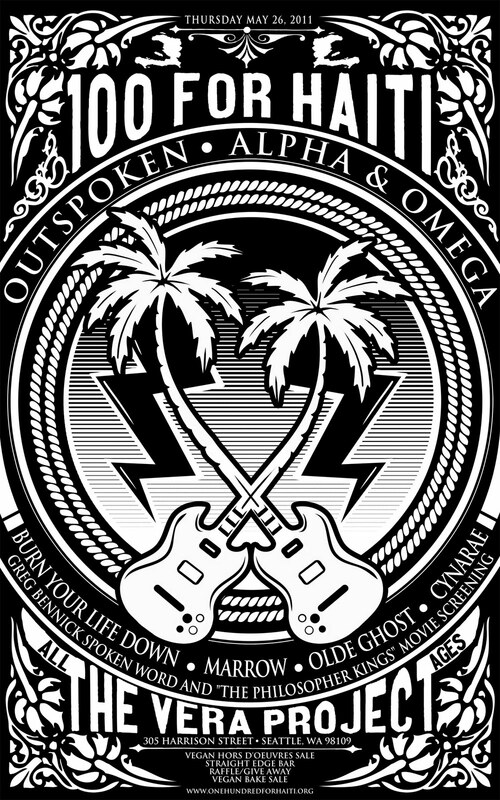 There are two sticker designs: the main website logo above in a small bumper sticker style, and then the back of the shirt design in a 4″ square. Both styles of stickers come with your order! To order, use paypal: info@onehundredforhaiti.com and be sure to include your shipping address. Shipping is $4 extra in the USA, and $6 worldwide. We can accept checks too. Contact us for details.